The notion that “cash is king” wanes more and more as transactions processed via credit cards take center stage, namely airline credit cards or credit cards that earn miles. In fact, some establishments around the world no longer accept cash, so if you’re going to use a credit card, why not get something more out of the deal and choose the best credit card for airline miles or points? Note: AirHelp is NOT sponsored by any of the credit card companies mentioned in this post. If you have owned any of these cards within the last year or two, you can’t sign up again and get the new member benefits. To be sure, always check with the credit card company directly. Now, let’s get going and detail out some travel savvy rewards cards, including credit cards with no annual fees. In an effort to simplify the process and provide you with optimal travel tools, we’ve put several top air miles credit cards to the test to help you decide the best credit card for miles. The credit cards listed below are the most advantageous for rewards and miles. First, we’ll look at each card in detail and then we’ll sum it all up with a comparison chart. You have the ultimate say, but here are specific features and benefits to help you determine which card suits you. With several hubs across the US, Delta has well-established partnerships with more than 20 airlines worldwide. So, you’ll have plenty of options to earn miles and use miles. 2 miles per dollar spent on Delta purchases. Examples: tickets on Delta.com, in-flight services, Delta Vacations, Delta memberships or passes, etc. 1 mile per dollar spent on everyday purchases. This includes paying for food, gas, clothes, books, or anything that you normally buy. $0 for the first year and then $95 per year after that. 30,000 – 50,000 miles if you spend $1,000 in the first 3 months. This offer fluctuates depending on the time of year, so it’s always best to go straight to the American Express website. $50 statement credit if you make a Delta purchase within 3 months. You can get a bonus when you refer a friend to American Express. Priority Boarding on Delta flights (you’ll get to board in Zone 1, essentially following first class passengers). Free checked bag on Delta flights. This United Visa credit card really rewards its users with additional options to earn twice the miles for hotel accommodations and dining out. 2 miles per dollar on United purchases. 2 miles per dollar spent on restaurants. 2 miles per dollar spent on hotels (purchased directly with the hotel). 1 mile per dollar spent on other types of purchases. $0 for the first year, and then $95 per year after that. New Cardmember Offer (Sign-up Bonus)? 40,000 bonus miles when you spend $2,000 in the first 3 months after opening your account. $100 statement credit after making your first purchase. NO (well at least not at the moment). 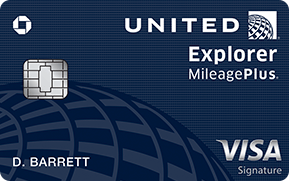 Chase has been known to offer a referral program from time to time as part of the United MileagePlus Explorer card. However, the “Refer-A-Friend” promotion is not currently in effect. Still, it’s worth keeping an eye on, just in case it comes back. New benefits include earning 2 times the miles at restaurants and on hotel accommodations, 25% back on in-flight purchases, and more. Free checked bag on United flights. Key Stipulation = free checked bag is for United flights. The VentureOne credit card from Capital One offers an impressive 0% introductory APR for 12 months, along with a world of Visa signature benefits including the potential to earn 10 miles per dollar on certain hotels. Capital One’s site also provides an embedded slider to get a quick view of how many miles you could earn based on your monthly spending. 1.25 miles per dollar spent. 0% intro APR for 12 months; 13.49% – 23.49% variable APR after that. 20,000 bonus miles once you spend $1,000 on purchases within the first 3 months after opening an account. As noted in the Bonuses and Benefits section of this robust analysis, the VentureOne card does NOT offer referral bonuses. Earn 10 miles per dollar when paying with the VentureOne card. 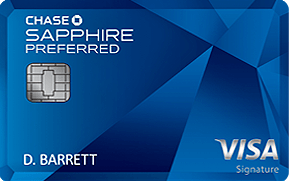 The Chase Sapphire Preferred credit card allows you to earn points and transfer those points to several frequent travel programs at a 1:1 value. 2 points per dollar spent when your card is used for purchases in the travel category. 1 point for every dollar spent on everyday purchases. $0 for the first year, then $95 per year after that. Earn 50,000 bonus points after spending $4,000 on purchases in the first 3 months. Earn 10,000 bonus points for each friend who signs up and is approved. Make your first purchase and add an authorized user to your card to get 5,000 bonus points. Earn even more points with this card by glancing at these strategic things to do when you get the Chase Sapphire Preferred card. This card is ideal for the perpetual traveler. It’s also a card that active duty US military members should check out because the annual fee is waived for US service members. Military spouses are also eligible! Essentially, American Express avidly supports SCRA (Servicemembers Civil Relief Act) benefits. Make sure you read the fine print regarding eligibility requirements. 5x the Membership Rewards points on American Express Travel or flights booked directly with an airline. 5x the Membership Rewards points on prepaid hotels booked with American Express Travel. There’s not much disclosure here, but American Express provides resources on its site about qualifying considerations for this card. Annual fee is waived for active duty US military members and spouses of service members ($550 of savings). If you are not an active duty service member, the annual fee is $550, but for frequent travelers and for those who routinely utilize hotel accommodations or Uber, the list of perks makes a convincing argument. Earn 60,000 reward points after using your card to make $5,000 in purchases within the first 3 months. This card lets you earn up to 55,000 Membership Rewards points per calendar year. Participating airlines include Alaska Airlines, American Airlines, Delta Airlines, Frontier Airlines, Hawaiian Airlines, JetBlue Airways, Spirit Airlines, Southwest Airlines, and United Airlines. Consult Platinum Travel counselors who specialize in providing custom itineraries and tailored recommendations for your travel needs. Uber VIP status and free rides up to $15 each month (in the US). Savings stem from complimentary benefits as part of the Fine Hotels & Resorts Program. Travelers have different needs, so here’s a quick visual comparison of the best credit cards for miles and rewards mentioned above. This way, you can zero in on which card you want based on what you need. – Save an average of $550 with Fine Hotels & Resorts Program benefits. 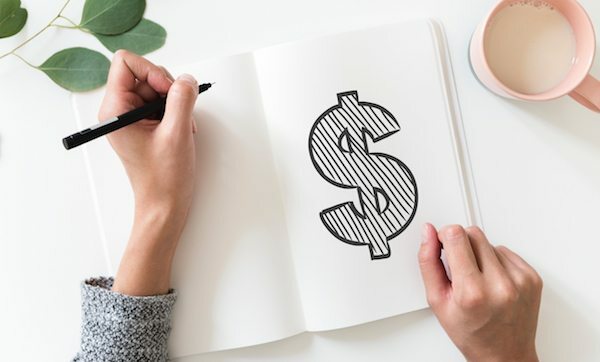 Depending on your average monthly spending and what you’re after (sign-up bonuses, mile, points, or added perks), the best can vary considerably from person to person. 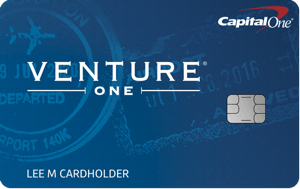 If a 0% plus no annual fee card is on your mind, then you’ll want to go with the VentureOne card from Capital One. 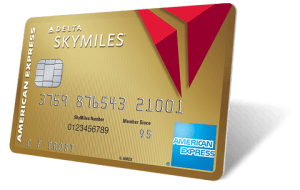 If you’re looking to spend the least for the most amount of miles, you’ll want the Gold Delta SkyMiles card. If you want to share your knowledge with friends and get rewarded for it, choose the Chase Sapphire Preferred. You’ll also receive 50,000 points if you spend $4,000 in the first 3 months. However, if you travel a lot The Platinum Card from American Express also offers attractive referral incentives. For the highest miles per dollar spent, you’ll want to go with either the Gold Delta SkyMiles card or the Chase United MileagePlus Explorer. Yet, if you book hotel rooms often, remember that the VentureOne card from Capital One lets you collect up to 10 miles per dollar spent. For the highest points per dollar spent, choose The Platinum Card from American Express or the Chase Sapphire Preferred card. 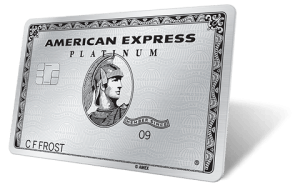 Hands down, go for The Platinum Card from American Express. There are so many incredible benefits with this card! The choice is up to you, but these 5 cards offer a great amount of versatility. No matter which card you choose, it’s always a plus to have helpful options so you can travel smarter and focus on where you want to be.